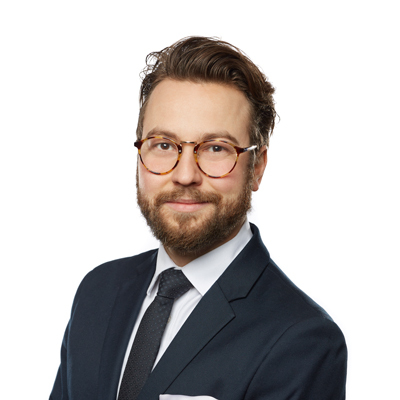 Michael is an associate in Gowling WLG's Toronto office, practising in environmental law. Michael's practice is focused on environmental litigation and dispute resolution, including civil litigation involving contaminated sites, assisting clients in navigating regulatory issues, and advocating for clients with respect to provincial and federal environmental laws. Michael has appeared before all levels of court in Ontario and has experience in commercial litigation, class action defence, commercial disputes, contract disputes and securities matters. Prior to joining Gowling in 2018, Michael articled and worked in the civil litigation group of a prominent Toronto law firm before joining a boutique litigation firm. Michael completed his undergraduate studies in English literature at Cambridge University and attended law school at McGill University, where he was awarded the Bereskin & Parr Prize in Industrial and Intellectual Property, the De Grandpré Chait Real Estate Award, and Elizabeth Carmichael Monk, Q.C. Property Law Prize. Presenter - Law Society of Upper Canada Advocacy Workshop for Paralegals, Nov. 30, 2017. Finley, M. and Read-Ellis, N., "Regulating Cannabis", The Lawyer's Daily, Feb. 9, 2017. Ricci. D and Finley, M., "The Meaning of 'Existence': Wrestling with 'Some Basis in Fact' and Common Issues After Pro-Sys', (2017) Class Action Review, Vol. 1, No. 2.